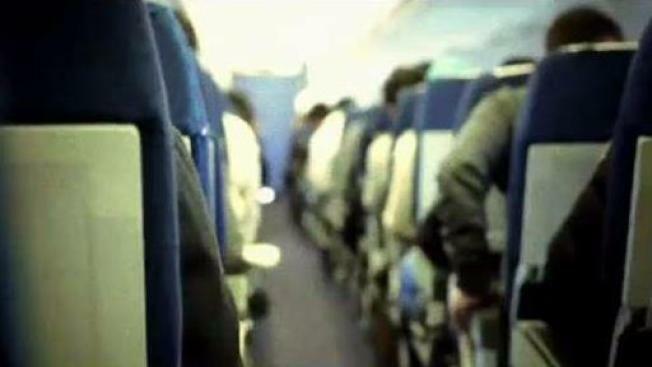 Are Shrinking Airline Seats Unsafe? Federal regulators have rejected the idea of setting minimum standards for airline seats and legroom as a safety measure. The Federal Aviation Administration said Tuesday that it saw no immediate safety issue that requires new regulations. It cited seven recent accidents in which passengers were able to evacuate. The FAA was responding to a group called FlyersRights, which had gone to court to prod the agency to act. FlyersRights said cramped planes combined with the larger size of today's passengers means that planes can't be evacuated in 90 seconds, as required. "In the real world, people are taking a lot longer than 90 seconds to get out," Paul Hudson, a lawyer for the group, said in an interview. He said the FAA relied on tests from the 1990s using people who "don't' resemble the profile of American passengers today." The FAA turned down FlyersRights once before, but last year a federal appeals court ordered the agency to take another look at the issue, saying the FAA had relied on outdated or irrelevant tests and studies. Hudson said the group may go back to the appeals court to force the FAA to act. A couple of decades ago, the distance between one seatback and the seatback in the next row — what airlines call "pitch" — measured about 35 inches in economy class. Today on some planes it is as tight as 28 inches, although thinner seat cushions offset some of the shrinkage. Seat width has changed far less, if at all. Airplane manufacturers submitted videos of evacuation tests to argue that new rules are not needed. Boeing said that in 1996 it tested planes with 351 passengers and 28 inches of pitch, and the results met FAA evacuation standards. Jeffrey Gardlin, a safety engineer who has worked for FAA for 36 years, said large passengers can take longer to escape exits, so the agency sets minimum sizes for over-wing exits. But, he said, size doesn't make much difference in the time it takes to get from a seat to the aisle. In an affidavit, Gardlin cited seven accidents since 2015 in which passengers were able to escape planes designed to meet current standards. Some passengers were hurt during evacuations but none died in fires, even those that destroyed the plane. He said there were no reports that seat size or row pitch slowed any of the evacuations. Tuesday's decision is not necessarily the final word on aircraft seats. A House-passed bill would direct the FAA to set minimum seat sizes, although it leaves the decision on the exact measures to the agency. The bill is pending in the Senate. Last month, the Transportation Department's inspector general announced a review of the FAA's evacuation standards, noting that today's planes have more seats, passengers are larger, and they have more carry-on bags. The inspector general was responding to a request from members of the House Transportation Committee, which followed a confused evacuation of an American Airlines jet in Chicago after an engine fire.